Coconut Grove in Kapalua was completed in 2003 as one of the jewels in Kapalua so the interior amenities of the condo are extraordinary. 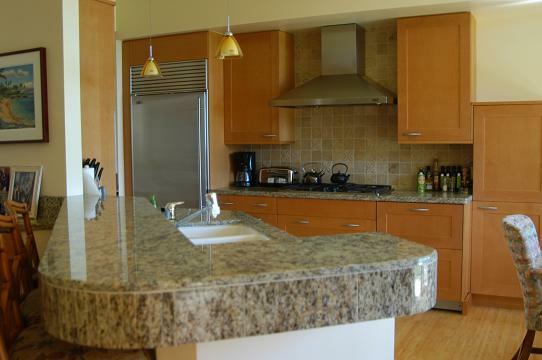 From the bamboo floors to the marble countertops to the state-of-the-art computer networks and audio-visual systems, you have it all. And, while the furniture is elegant, it is, above all, comfortable and livable as a beach home should be. The condo has two separate air conditioning zones to ensure comfort for all. 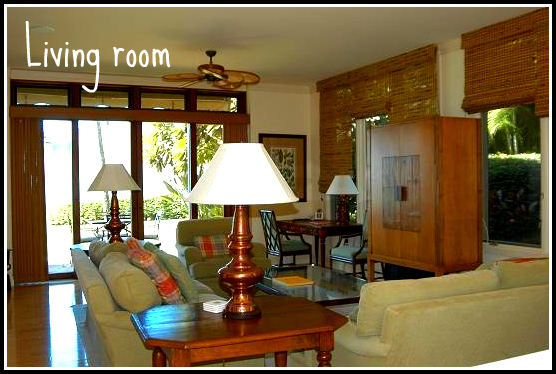 Additionally, it has many windows that allow you to just turn of the A/C and enjoy the wonderful ocean breezes. 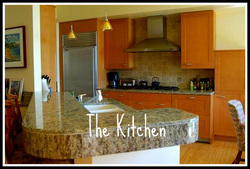 The condo has a spacious interior where people can read, relax, or play together. The living room pocket doors open up into the outdoors so that the interior space and the exterior space become one. The condo has three bedrooms, each having their own private full bath. 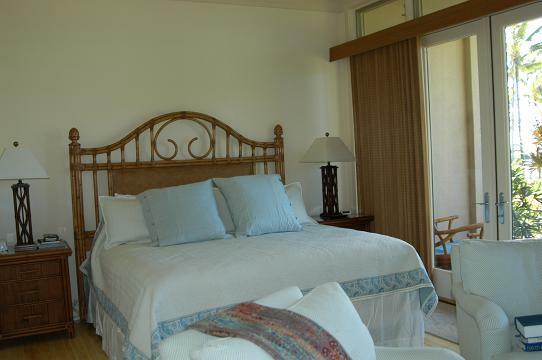 The Master bedroom faces the ocean and has a king bed, comfortable sitting area, television, stereo, and two closets. 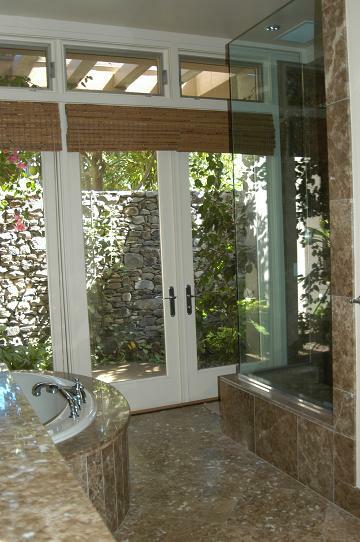 In the Master bath, there are two separate sink areas, a tub, and a separate shower. 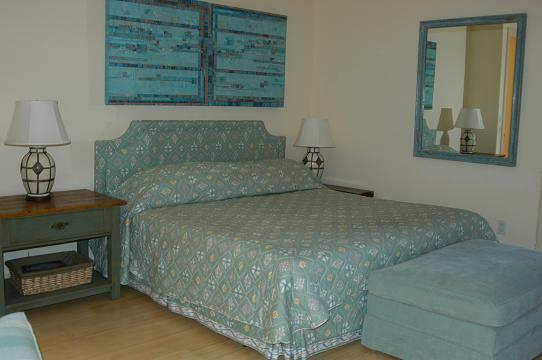 The Second bedroom also includes a king bed, sitting area, television, and stereo. Additionally, the second bedroom contains a large desk and work area that allows easy connection to the internet and a printer. The Second bath includes two sinks, a bath, a separate shower, and a doorway out onto a private lanai that includes a private outdoor shower. 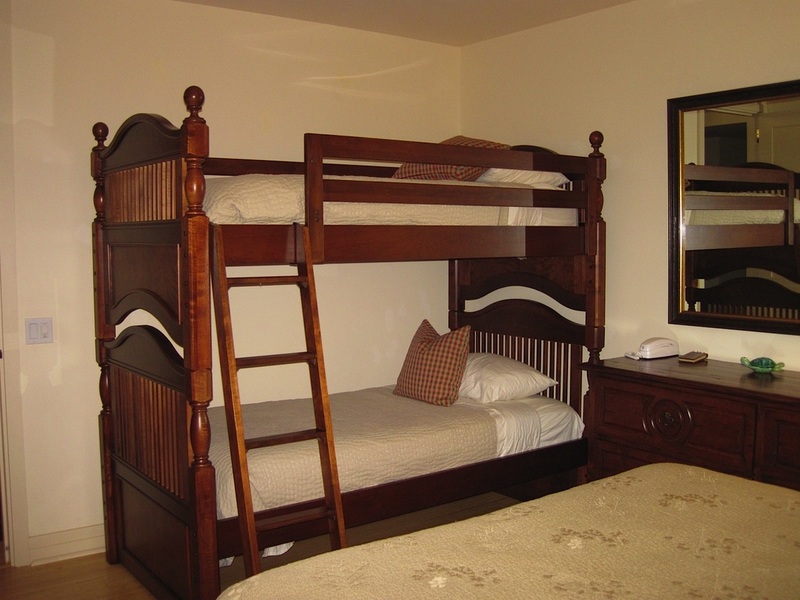 The Third bedroom has a queen bed with two bunk beds as well as its own private bathroom. One of the unique aspects of this condo is it's network and audio-visual systems. 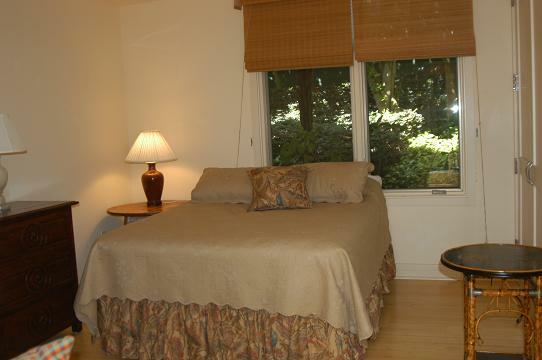 There are televisions in the Master bedroom, Second bedroom, and the Living room. The Living room has a high definition television that also has a surround-sound system for an outstanding home theatre experience. Additionally, there is a fully integrated stereo system that pipes the music that is played on the stereo in the Living room to all of the bedrooms and the outdoor oceanside lanai. Each of these areas has a separate volume control. For computer networks, this house has full internet and local area network connectivity including wireless throughout the condo and direct connections (hard-wired) in every room of the house. In the second bedroom is a printer that is available for guests' use.